We all have one, mine includes seeing the Northern Lights and travelling to the Andes in South America, but it also includes a 30lb carp; common or mirror will do, preferably both! Back on my winter venue, not that I have fished it this year – stress of work, but that’s another post – anyway I arrive two-ish for a quick mid week session. I thought midweek would be quiet, wrong, four other carpers had the same idea. The spring weather had brought them out of their winter hibernation and with eight lines in the water already the pressure was on. The first lad I spoke hadn’t caught but said the fella at the southern end had had a 31lb mirror. I stopped to chat to the only carp captor in swim ‘Seven’ as I circumnavigated the lake. His prize had come from the very spot I had fished the first time on this water – It’s Show Time – knew it was a good’un! Always good to see someone catch and the pictures proved the baliff’s stock take was correct – Off On A Tangent. Continuing on I settled on “Thirteen” at the northern end and opposite a line of reeds and two swims down from the previous visit – Off On A Tangent. Plus this was where I had seen the only show and a location where I could walk to and bait by hand with half a kilo of Dynamite Monster Tigernut Red Amo, plus some corn and krill pellets, all glugged. Out went the right rod (KD rig) onto the baited area, about a meter off the reeds and the left rod (Withy Pool rig) was lobbed onto an area I knew would grow into pads by the summer. And relax, work has been a mare so this was the perfect tonic. After an hour of so the liners started on the right and I was hopeful but it was the left that dropped back suddenly but I lifted into nothing. As I was winding in to recast the right rod screamed off. I dropped the left and picked up the right but in my hassle did not tighten the clutch before trying to wind down and settling the hook and therefore lifted into nothing. I paused for a moment hoping the carp was still on but no – novice mistake. At least the areas were right and the carp approved of the boilies and I recast and rang then dinner bell by scattering boilies along the reed line with the catapult. Another hour passed with the odd bleep but nothing of substance. I then Spombed some bait out and placed the left rod along the reed line but silence, six o’clock and with the sun setting super time was over. 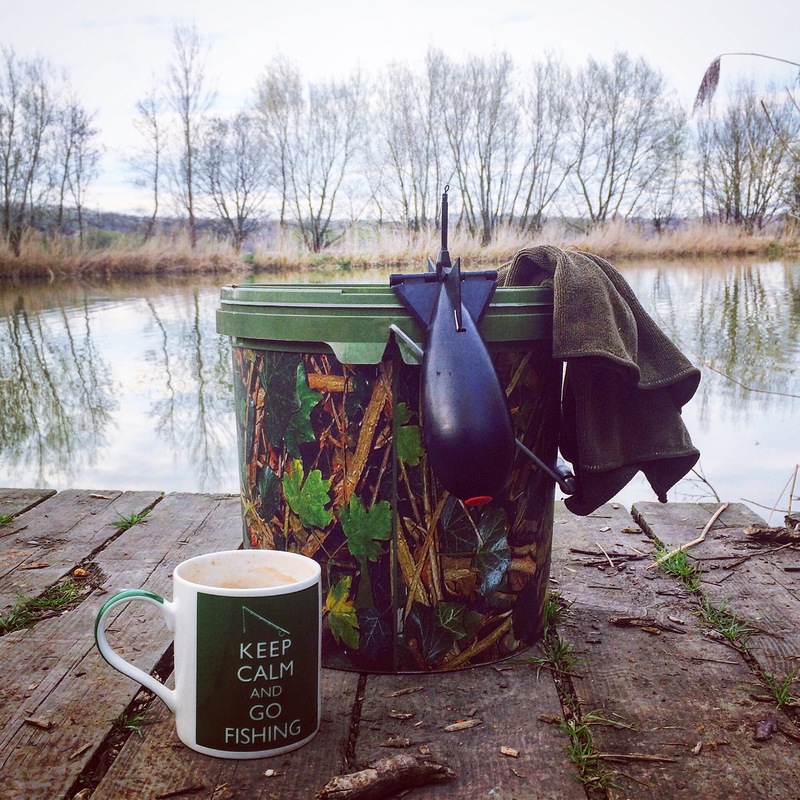 As before – It’s Show Time – 4-6pm was bite time, and despite a missed take I was happy in the knowledge that the two locations I had fished previously were and would no doubt be fruitful plus the Dynamite boilies produced a positive reaction. Packed up and away by 7pm, but looking forward to the next visit before the Summer club ticket arrives. Hopefully fourth visit, in the fourth month (April) at 4pm will bring fourth a carp.